Investors are going to the ends of the earth. Shares of foreign companies are making up an increasingly large chunk of U.S. investors’ stock portfolios, as barriers to investment fall, global economies integrate and the potential benefits of international diversification are widely embraced. More than a quarter of the money in U.S. equity mutual funds and exchange-traded funds is in foreign-stock-focused funds, up from 14% in 2000, according to the Investment Company Institute, a trade group. 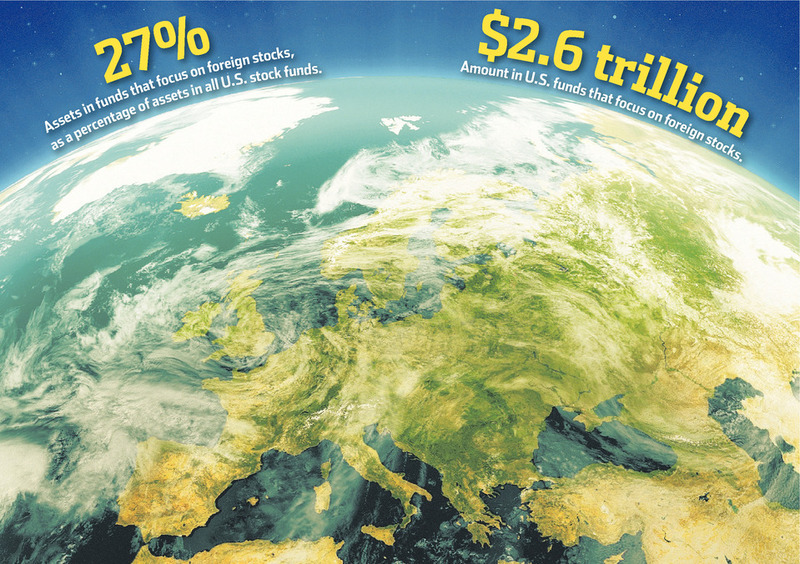 Investors hold nearly $2.6 trillion in those foreign-focused funds, up from less than $600 billion back then. Yet not every investor is on board. Vanguard Group, the large financial-services firm, says nearly a quarter of the 401(k) accounts it oversees own no foreign-focused funds at all, though that is down from 66% in 2004. Rival Fidelity Investments says only 12% of the assets in its average brokerage account are in funds that focus on foreign stocks or securities issued by companies based abroad. They may be missing out. Experts say a stock portfolio that is widely diversified internationally can provide protection against a prolonged downturn in an investor’s home market. In addition, some market analysts say U.S. stocks look relatively expensive and many foreign markets appear less pricey, which could increase their chances of outperforming in coming years. Here’s what you need to know about investing in foreign stocks, the right amount to hold and the smart way to go about it. With domestic stocks near record highs, that bias may seem understandable to U.S. investors. The S&P 500 is up 8.8% this year, including dividends, through Thursday, according to FactSet, after logging double-digit gains last year and in three of the prior four years. Foreign stocks have been hit or miss. Germany’s stock benchmark has gained 2.5% this year through Thursday, and India’s has gained 25%, but Japan’s is down 5.3%. Saudi Arabia’s stock market is up 22%, according to MSCI, but that market won’t open to foreign investors until next year. Such a range of performance, however, could end up helping an investor if U.S. markets are sagging. For example, an investor in the broad Wilshire 5000 index of U.S. stocks generated an average loss of 0.4% annually from 2000 through 2008, encompassing two major market drops. But if 20% of that stock portfolio had been invested in the MSCI World ex USA Index—which tracks markets in 22 other developed countries—that investor would have logged an average gain of 0.2% annually, according to Chicago-based investment researcher Morningstar. A portfolio split evenly between foreign and domestic stocks would have gained 0.9% on average. Sometimes, stocks around the world move in lock step. But the experience of Japanese investors demonstrates the risk of prolonged underperformance in a domestic stock market. The benchmark Nikkei Stock Average fell 82% from its all-time peak in 1989 to its financial-crisis low in March 2009, excluding dividends. During that same period, the Dow Jones Industrial Average rose 152%. 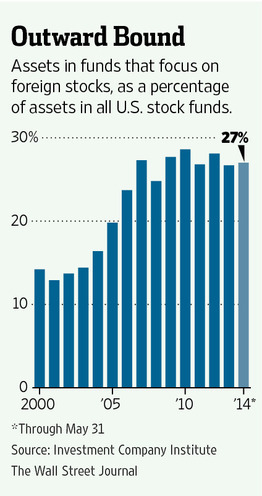 “The real risk that you face is that you’re going to have crummy returns in one part of your portfolio over 30 years. And you’re certainly reducing that risk if you are internationally diversified,” says William Bernstein, co-principal of portfolio manager Efficient Frontier Advisors in Eastford, Conn. Owning shares in large multinational companies isn’t the same thing as owning shares of companies in foreign markets, according to Mr. Bernstein and other experts. International diversification means being exposed both to what is happening in foreign stock markets and to the swings in the value of foreign currencies, they say. U.S. multinationals often try to smooth out that impact by hedging against currency fluctuations, as they aim to report results in dollars. “You have to invest in a company whose executives are trying to post a profit in local currency,” says Bruno Solnik, a finance professor at Hong Kong University of Science and Technology who wrote an oft-cited 1974 study on international diversification. How Much Foreign Stock Should You Own? The average 401(k) account that owns stock or stock funds has less than 18% of its stock portfolio in foreign stocks, according to a February study by Columbia University finance professors and others that looked at more than three million accounts. 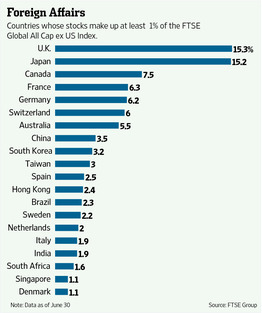 By contrast, foreign firms represent about 50% to 60% of the market value of all stocks in publicly traded companies. Some experts believe that could be a good starting point for deciding how much foreign stock to hold. Many investors, however, won’t be comfortable going too far afield. Experts suggest that typical investors should hold at least 20% to 30% of their stock portfolios in shares of foreign firms. Vanguard, Fidelity and T. Rowe Price Group, TROW -0.34% another fund giant, typically allocate about 30% of the stocks in their target-date retirement funds—which generally hold a mix of stocks and bonds and grow more conservative as investors approach retirement—to shares of foreign firms. Many investors are enrolled in such funds automatically through 401(k) plans, which is one reason ownership of foreign stocks has risen. One important consideration: What can you live with through thick and thin? Avi Norowitz, a 30-year-old systems analyst who lives in Jersey City, N.J., says he decided to invest in foreign stocks earlier this year and put about 20% of his stock portfolio into the Vanguard Total International Stock Index Fund, which charges annual fees of 0.14%, or $14, on a $10,000 investment, and invests in 45 countries around the world. He says he is increasing the share of foreign shares in his portfolio to nearly 40% over the next six months or so. But Mr. Norowitz says that if he went much higher, he might end up regretting the move if U.S. stocks strongly outperformed foreign shares and he felt left behind. “It would be hard to go, say, 10 years in a period where the media says the stock market is doing great, and my stocks are doing terrible,” he says. Frank Warnock, a professor at the University of Virginia who has studied investors’ tendency to favor home-country stocks, says an individual investor’s circumstances may also play a role in figuring out how much foreign stock is appropriate. 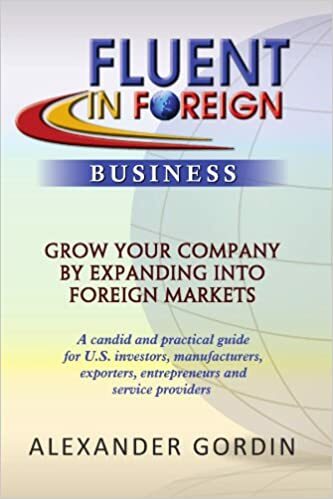 Investors who own real estate abroad or are employed by a foreign-based company might lower their foreign stock allocation to compensate, for example. On the other hand, if investors hold a significant chunk of U.S. bonds but no foreign bonds, that might be a reason to consider increasing their foreign stock allocation, says Mr. Warnock, who estimates one-third of his equity portfolio is in foreign stocks. What Is the Right Way to Invest Abroad? Buying foreign stocks may seem intrepid. But rules of thumb that apply in the U.S. also hold true overseas. Investors in low-cost funds that passively track a broad range of U.S. stocks will often fare better than investors who bet on fund managers who try to beat the market, in part because investors in actively managed funds are at risk of underperforming and in part because those funds often charge higher fees that eat into returns. The same is true abroad, and active fund managers in foreign markets may also lack information more readily available to locals, says Mr. Bernstein, of Efficient Frontier Advisors. He recommends funds from Dimensional Fund Advisors that allocate their investments across many countries, such as the DFA Large Cap International Portfolio, which invests in developed markets, and the DFA Emerging Markets Portfolio. 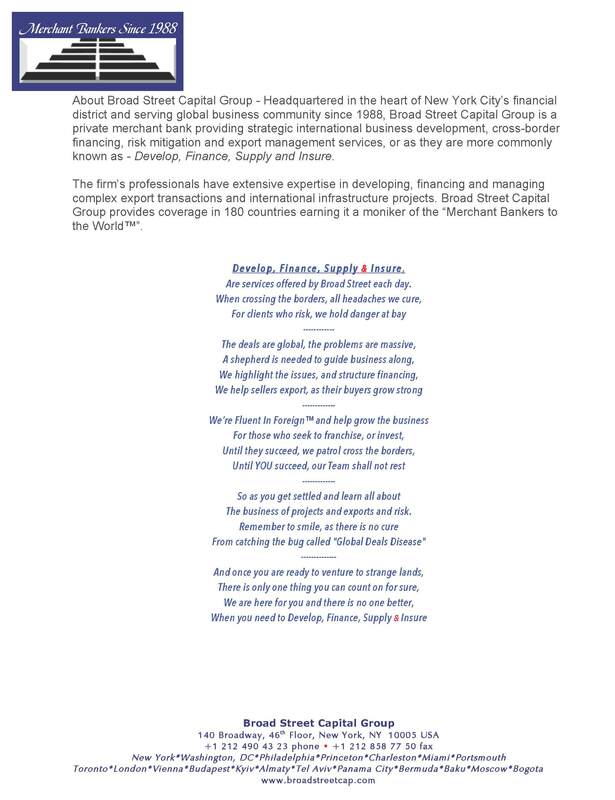 The funds charge annual fees of 0.29% and 0.57%, respectively, according to Morningstar. The funds are available to individuals through fee-based advisers and in some 401(k) plans, according to the company. Other DFA funds allow investors to tilt their foreign stock portfolios to value stocks and small stocks, Mr. Bernstein says. By contrast, investors who buy one or two single-country ETFs could end up increasing their risk, rather than lowering it, experts say. Investors also risk giving too much weight to emerging markets or frontier markets, which are often even smaller and riskier. Emerging markets, for example, represent just 11% of the value of companies in the MSCI ACWI + Frontier Markets Index, and frontier markets represent just 0.3%, with the remaining nearly 89% of the value in companies in the index in developed markets. Be alert, as well, to challenges that may come with investing in certain countries. In China, for example, there are often limits for foreign investors on buying shares in Chinese companies. Owning foreign stocks isn’t a get-rich-quick scheme. But at the moment, it might be an opportunity to get a bargain. That’s because a widely watched ratio of stock prices to corporate earnings popularized by Nobel Prize-winning Yale University economist Robert Shiller shows that U.S. stocks look pricey. That could point to subpar returns in years to come. Stocks elsewhere look inexpensive by comparison, says Joachim Klement, chief investment officer at Wellershoff & Partners, an investment consultancy based in Zurich. He argues that stocks in many other countries are therefore likely to generate higher returns over the next five years. For example, Mr. Klement estimates that U.S. stocks will generate a cumulative 7% return above inflation over the next five years, based on their Shiller price/earnings ratio. By comparison, he says that stocks in France, India, Italy, Mexico and many other countries could generate returns of more than 50% over the same period. What’s In A Name? If it’s “Made in USA,” Quite A Lot. 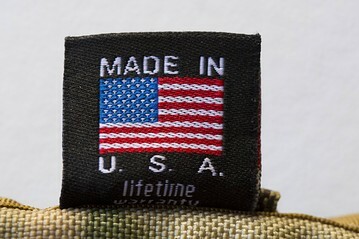 Deciding when something can be called “Made in USA” is harder than you might think. You can thank both the Federal Trade Commission and the state of California for that. Federal law says goods that are “all or virtually all” manufactured in the U.S. qualify, though the FTC doesn’t define what “virtually all” means, leaving some wiggle room. The FTC decides on a case-by-case basis when disputes arise over use of the phrase. That can be frustrating for producers, many of whom would prefer it spelled out. But a bigger problem is California. State law there is explicit and clashes with the federal standard: If a product contains just one imported screw or rivet, it cannot carry the label. California is the only state with such a rule. That’s not a big problem for something simple like bath towels or plastic lawn chairs. But with more complex goods, such as electronics or machinery, it can be difficult to assure the domestic pedigree of all the raw materials and component parts. In some cases, there are no domestic suppliers or their cost is prohibitive. Manufacturers have tried to get California to relent. In 2011, the California assembly unanimously approved a bill to amend the law so it would harmonize with the FTC rule. But the move eventually floundered in the face of staunch opposition from consumer and trial lawyer groups. California has become a minefield for producers like Lifetime Products Inc., a Clearfield, Utah maker of portable basketball hoops. Lifetime recently settled a class-action suit brought against it over labeling hoops that were sold at Sports Authority stores in the Golden State. “We make everything in Utah—including our own metal tubing and the plastic parts,” saysRichard Hendrickson, the company’s chief executive. The woven netting that came with the hoops in small plastic bags, however, is imported from China and ran afoul of the law. Many companies today follow the California rule, even when they have no intention of selling there. The risk is simply too high, since complex distribution networks sometimes send goods to markets where they were not intended. In the meantime, companies including Lifetime have shifted focus to the FTC, hoping to get legislation passed that would give the federal law priority over state regulations.